Shujaat Bukhari murder: When will the bloodshed in Kashmir end? The conditions in the Valley have been deteriorating with each passing day. Every year they say “halaat chi behtar (the situation is better)” in the Valley, but I believe it has been deteriorating with each passing day. There seems to be no end to the bloodshed. The killing of a civilian is a great loss to any society, but what is more tragic is that it has gone on for so long without any sort of checking that we now run the risk of losing our humanity altogether. 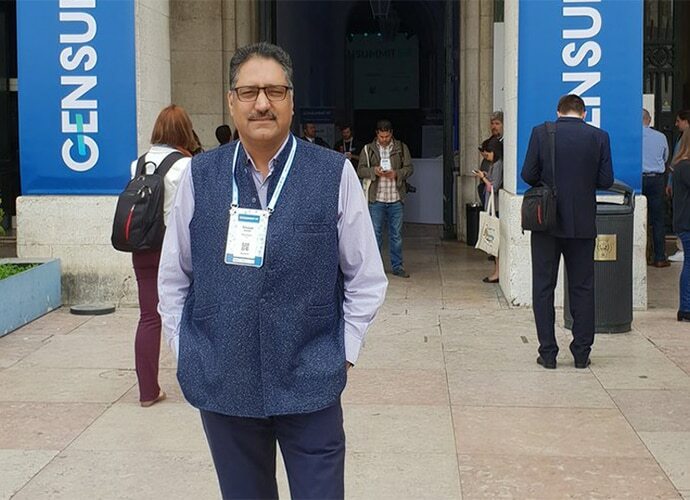 The assassination of Rising Kashmir’s editor-in-chief Shujaat Bukhari is being widely condemned nationally as well as internationally. People have also been coming up with theories — conspiracy and otherwise — trying to piece together what might have led to his murder in cold blood. On my Facebook timeline, every other post seems to be about Shujaat Bukhari, describing him as a “moderate” and “courageous voice” from Kashmir. People are remembering him for good reasons. I met him only once, over a cup of tea with a friend at his residence in Srinagar, back in 2012. The conversation lasted for half an hour. He was a good host. And for intents and purposes, that was all the association I had with him. But the news of his murder — I will not call it a killing; the word seems paltry — nearly stopped my heart. His murder seems to have awakened a collective outrage — forgive my cynicism — but, hopefully one that is not buried under viral content on our timelines. But in our grief, while we mourn the murder of a friend, a colleague a peer, a mentor, a journalist and a perceived visionary, let us not forget to mourn the murders of those unnamed men, women and children that occur every day in Jammu and Kashmir. Even though the murder of a journalist like Shujaat Bukhari is appalling, what should set our blood boiling further is the fact that death, loss, and grief is the status quo of the state. After all of the “pea-cockish” strutting about and military show of strength, which, let’s face it, does not seem to be working, (case in point, the rising civilian and military death toll), the turmoil-infested state can reach normalisation only after effective dialogue with Pakistan. Political stalwart Atal Bihari Vajpayee had said it right — “neighbours cannot be changed”. It pains one’s conscious when a child has to receive the body of his father instead of Eid gifts. It disturbs one’s mind when a 3-year-old daughter is told to say goodnight and goodbye to her martyred soldier father. The pain I feel today is the pain of everyone in Jammu and Kashmir. It reminds me of the years I have lived without a father’s love. That’s how most of the state’s journalists feel. As if the shadow of a paternal figure has been cruelly snatched away before its time. As Shujaat Bukhari would say, “The show must go on”. I say let it, but in peace not in pieces.